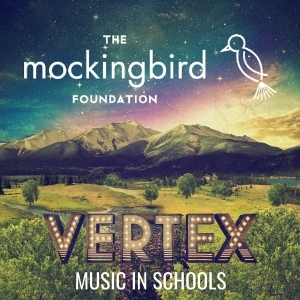 The Mockingbird Foundation is delighted to announce a new partnership with Vertex, and the festival’s “Music in Schools” program, to benefit music education programs in the festival’s hometown of Buena Vista, CO. As a leading grantmaker in children’s music education, the Foundation’s mission closely aligns with the festival’s belief that one’s home should be a year-round place of musical discovery. Mockingbird volunteers will host a variety of fundraisers at the festival to help pay for local schools’ honor band and choir travel expenses during the 2016-17 school year and to provide funding for new uniforms. Vertex festival goers can win special viewing upgrades for both Trey Anastasio sets, limited edition poster art and photography prints, and copies of the newly released The Phish Companion: A Guide to a Band & Their Music through their on-site donations. The Foundation has previously distributed nine grants in Colorado, totalling $23,500. Grant recipients include Vertex’s Food Drive partner, Conscious Alliance and the 2016 Phish Summer Tour grant recipient, Adams City High School in Commerce City. In advance of the festival, Mockingbird and Vertex have begun joint fundraising efforts to benefit Buena Vista schools. Last month, The Mockingbird Foundation released the third edition of The Phish Companion: A Guide to the Band & Their Music. The 898-page hardcover book meticulously and reverently chronicles Phish’s history from their humble beginnings to the present, documenting the band’s output with setlists, show reviews, tour capsules, fan prose, original photos and more. As with previous editions, all net proceeds will benefit music education for children. Foundation volunteers will be on hand at Vertex with copies of The Phish Companion, answering questions and showcasing the book for fans. If you can’t wait until then to get your hands on the definitive book on Phish, order one now at PhishCompanion.com.